Why go through life as a spectator? In this practical study of Acts 13-28, Dr. Wiersbe explains how God equips and calls ordinary people to do extraordinary tasks. He answers such questions as: * What is a call to service? * How does God equip His servants? * How can I determine His will for my life? * What is God's program for world outreach? Don't just watch what's happening! Be a dynamic part of the excitement and action of Christian service right where you are. Yes, it's time to BE DARING. 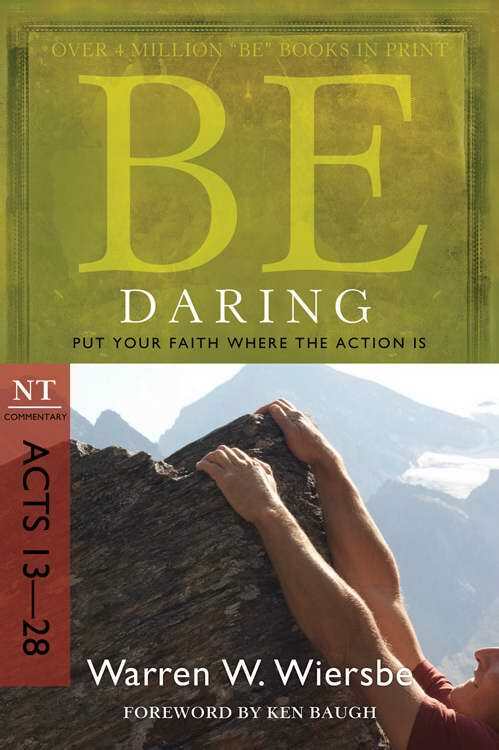 Be Daring Acts 13 28 by Warren W Wiersbe was published by David C Cook in July 2009 and is our 6090th best seller. The ISBN for Be Daring Acts 13 28 is 9781434767424. Be the first to review Be Daring Acts 13 28! Got a question? No problem! Just click here to ask us about Be Daring Acts 13 28.